The Colorado Avalanche took a major step back in the 2014-2015 season after winning the Central Division and finishing with the third-highest points total in the league with 112 points in the 2013-2014 season. Many predicted the Avalanche might stumble this past season after playing above the odds and defying all advanced statistics the previous year. At this point, the Avalanche have a new-look roster and are ready for a fresh start to the season. Colorado is still a very talented team with a strong coach and a goaltender capable of having another Vezina-worthy season. 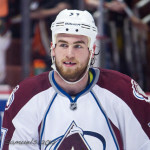 The biggest move of the offseason for the Avalanche involved sending talented forward Ryan O’Reilly to Buffalo. Losing O’Reilly was certainly a difficult blow for the Avalanche, but Joe Sakic and the rest of the Colorado management had no choice due to O’Reilly’s demanding contract needs. The Avalanche made a decent trade, which will be discussed below, but still fell far short in the effort to receive equal value for O’Reilly. Francois Beauchemin, the new addition to the Colorado defense, will provide much-needed puck-moving ability and leadership on and off the ice. The Colorado blue line looks a lot more solid this year than it has in years past, and if the Avalanche can stay healthy they will be able to regain their competitive edge that was misplaced last year. 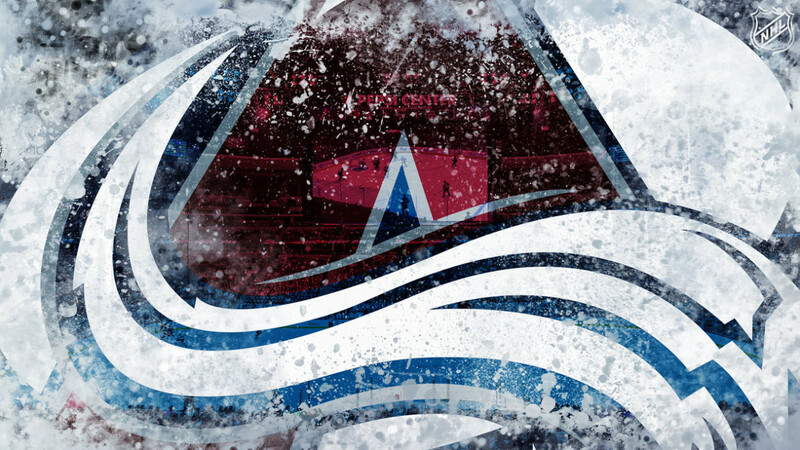 Though the Central Division is shaping up to be the most competitive in the league, the Avalanche will look to take advantage of a clean slate. Former first-overall pick Nathan MacKinnon will likely put together a much more impressive year compared to his 38-point campaign last year, and forwards Matt Duchene, Jarome Iginla and Gabriel Landeskog will continue to provide the Avalanche with a lot of firepower up front. Carl Soderberg, who is essentially O’Reilly’s “replacement,” will be eager to finally prove he can be a top-six forward in the NHL after serving mostly third-line duties in Boston. It is difficult to know whether veteran forward Alex Tanguay will be able to duplicate his impressive 55-point effort from last year, but he will surely continue to contribute and will remain a flexible option for head coach Patrick Roy to use throughout the lineup. 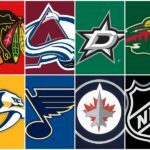 All in all, the Avalanche should have a more successful season this year, but it will be difficult to drastically alter the team’s fate in the final standings considering this year’s brutal competition in the Central Division. However, don’t count out the Avs..Colorado is one of the teams in the league that could surprise a lot of people. To be fair, the Avalanche had very little choice in this matter. As a result of matching Calgary’s 2013 offer sheet to Ryan O’Reilly of two years with an average annual value of $5 million, the Avalanche have been sliding down a very slippery slope with O’Reilly over the past few years in terms of O’Reilly’s financial value and worth. Colorado matched the offer sheet and therefore paid the two-year contract with a $5 million cap hit per year. 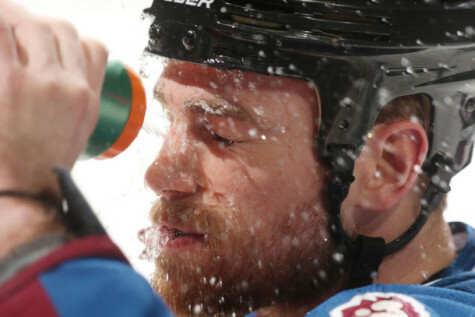 Negotiations surrounding the next contract were strained and touch-and-go, but eventually the Avalanche re-signed O’Reilly to a two-year contract with a cap hit of $6 million per year. Heading into this offseason, the Avalanche wanted to take care of either re-signing O’Reilly (if at all possible) or trading him for a package of assets before his contract would expire at the end of this upcoming season. 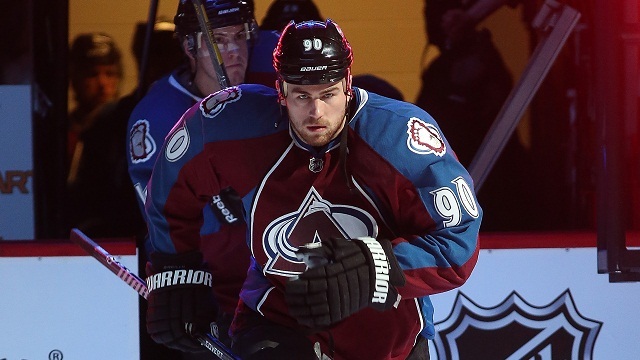 Though management publicly stated its interest in re-signing O’Reilly, it became clear that O’Reilly’s increasing contract demands would become too cumbersome for the Avalanche and would ultimately force Colorado’s hand and result in a trade. Though many teams expressed interest (both publicly and privately) in the talented, versatile and valuable forward, Sakic ended up completing a deal that sent O’Reilly, along with forward Jamie McGinn, to the Buffalo Sabres in exchange for center Mikhail Grigorenko, defenseman Nikita Zadorov and forward prospect J.T. 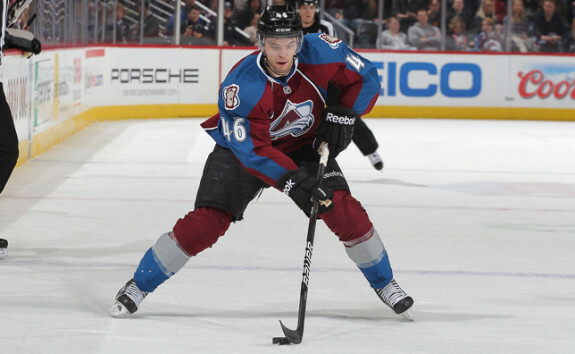 Compher, along with a 2nd-round draft pick. Grigorenko and Zadorov are former first-round picks; Grigorenko was drafted 12th overall in the 2012 draft, and Zadorov was taken 16th overall in 2013. 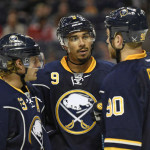 Last year, Grigorenko scored six points in 25 games with the Sabres and 36 points in 43 games with Buffalo’s AHL affiliate, the Rochester Americans. Zadorov scored 30 points in 36 games with the OHL’s London Knights in 2013-2014 and scored 15 points in 60 games with the Sabres last season. O’Reilly is an excellent hockey player; there is no way around that. His best season in the NHL was his 64-point effort in the 2013-2014 season that led to a Lady Byng Trophy, annually awarded to “the player adjudged to have exhibited the best type of sportsmanship and gentlemanly conduct combined with a high standard of playing ability.” O’Reilly followed up that season with a 55-point effort last year. Though his 17 goals last year fell far short of the 28 he scored the previous year, O’Reilly managed to have an effective season in a year when the entire roster struggled to score (after all, the Avalanche finished 23rd in the league in goals scored). But the growing contract inflation initially set off by the Calgary offer sheet became too much for Colorado to manage. This was not the least bit shocking as the contract disputes between the Avalanche and O’Reilly’s camp were widely publicized. Even though the Avalanche acquired two former first-round picks in Grigorenko and Zadorov, it’s still somewhat surprising that Colorado included McGinn in the deal since he had played top-six minutes in Colorado. Perhaps Colorado sought to avoid having to pay a higher cap hit when McGinn’s contract expired at the end of this season, or perhaps the decision was made based on the fact that McGinn only played 19 games last season due to injury. Even if O’Reilly was the highlight of the deal, it’s also possible that the Avalanche considered the 2nd-round pick in the deal to be a borderline 1st-round pick since it was the first pick of the second round, which would explain why McGinn was included in the deal. The Avalanche ended up trading that 2nd-round pick (31) to San Jose for the Sharks’ 2nd-round pick (39), a 2016 2nd-round pick and a 2017 6th-round pick. In the end, the Avalanche were able to find a suitable pseudo-replacement for O’Reilly in Carl Soderberg, and the team was obviously very pleased with the package from Buffalo that included Grigorenko, Zadorov and Compher, along with the high 2nd-round pick. It will be interesting to see if Soderberg can, in fact, make up for O’Reilly’s production in the lineup, and whether the combination of Soderberg and Grigorenko will be able to match the joint production from O’Reilly and McGinn, even if it isn’t technically fair or even relevant to expect those players to do so. Soderberg will have a solid season with the Avalanche, but he won’t be able to fully fill O’Reilly’s shoes since O’Reilly was an excellent penalty killer and is also more than five years younger. 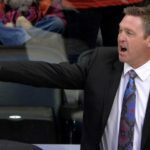 All things considered, the Avalanche have more depth now than they did at the beginning of the offseason, so even if losing an excellent two-way forward in O’Reilly is a significant blow, the roster may ultimately be more solid as a result of the combination of trades made by the team this offseason. The Avalanche traded a late draft pick to the Bruins the night before the NHL draft in order to acquire the rights of Carl Soderberg. This signified that Ryan O’Reilly would be on his way out of Colorado. 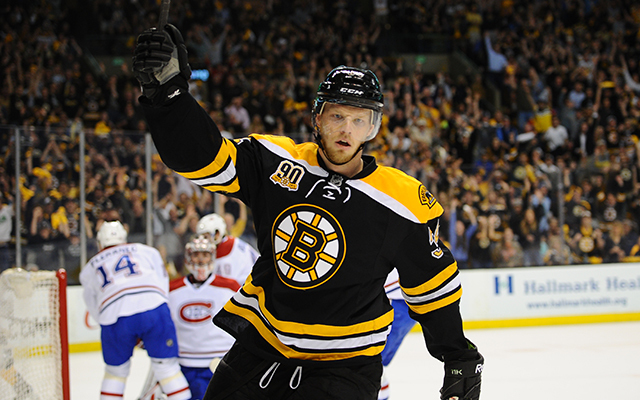 The Bruins could not afford to re-sign Soderberg but otherwise would have kept him. He was a very solid player for the Bruins but was relegated to third-line duties because of Boston’s 1-2 punch of David Krejci and Patrice Bergeron up the middle. But Boston had a very solid third line, especially with Loui Eriksson and Soderberg on the ice. Soderberg is a 29-year-old (he will turn 30 on October 12) with only two full seasons of NHL experience under his belt. However, prior to making the transition to the NHL, Soderberg played overseas in Sweden, where he recorded 326 points in 312 games. Over the past two NHL seasons, both with the Bruins, Soderberg scored 48 and 44 points and spent time on the Bruins’ first and second power-play units. Soderberg’s faceoff ability, two-way game and playmaking ability made him an unexpected threat for the Bruins. Since he will have a larger role on the Avalanche, where he will most likely serve as the second-line center, Soderberg should put up 50+ points this season, possibly more depending on his linemates. It would not be the least bit surprising if he and Landeskog develop chemistry during training camp and during the beginning of the season. Soderberg may not be a big name in the NHL but he is a very underrated and talented forward who will be able to show the world what he can do. This is both a positive and a negative move for the Avalanche. The Avalanche have significantly improved their defense corps over the past few seasons with a series of trades and free agent signings, including the recent signing of veteran blueliner Francois Beauchemin. 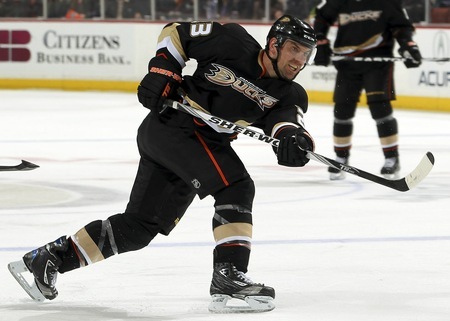 Beauchemin, 35, most recently played five seasons with the Anaheim Ducks in his second stint with the team. Beauchemin provides much-needed veteran experience and leadership to a young blueline. Beauchemin has won a Stanley Cup, has almost 100 playoff games under his belt and has been a workhouse during his 11-year career. He has 219 points in 673 career games for the Canadiens, Blue Jackets, Maple Leafs and Ducks, though he spent the majority of his career (parts of nine seasons) in Anaheim. The negative aspect of this signing is that Beauchemin is 35 years old and is signed for three seasons. A two-year deal would have been much better for the team, but it’s possible that adding the third year was the only way for Colorado to lock him up. Beauchemin will most likely play alongside Erik Johnson this season as the top pair, and could see some time on the first or second power-play units, depending on the power-play formations Roy chooses to employ. However, the Avalanche can use all the help they can get on the power-play after finishing 29th in the league in power-play percentage last season. 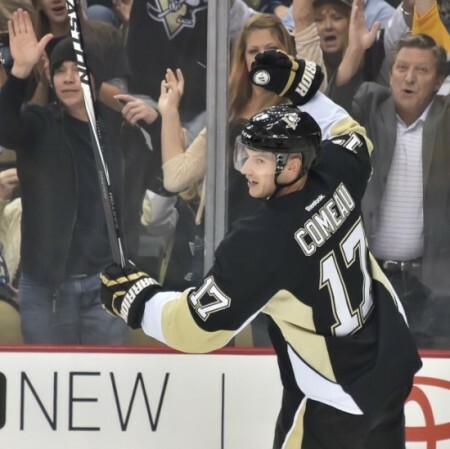 Blake Comeau has shuffled from team to team over the past few seasons but has been a gritty and reliable forward. It is understandable why the Avalanche had interest in Comeau considering the number of young players on the team and the seemingly short supply of solid wingers in the lineup. However, it does not make much sense at all why the Avalanche would sign Comeau to such a monstrous contract. Comeau will be an Av for the next three years at a cap hit of $2.4 million per season. In a salary cap era, no team should be offering Blake Comeau a three-year $7.2 million contract. In the eight NHL seasons in which Comeau has played in at least 15 games, he has averaged just under 25 points a season; this figure takes into account that Comeau was on pace for 14 points in 67 games during the lockout-shortened season. $2.4 million a year for an average of 25 points is a lot of money. That is around $100,000 per point, assuming Comeau even matches the average of 25. Over the past three seasons in which Comeau has played in at least 15 games, he has scored 14, 16 and 31 points (again, the 14 points assumes he would have stayed on pace to reach that point total in 67 games in the lockout-shortened 2012-2013 season). His 31-point season is nothing to scoff at, but he scored those 31 points playing on the Pittsburgh Penguins. Though he moved throughout the lineup, he did see some time with some of the Penguins’ star players, such as Sidney Crosby and Evgeni Malkin (according to the blog Pensburgh, Comeau’s four most frequent linemates last year were Crosby, Malkin, Chris Kunitz and Brandon Sutter). Though the Avalanche have a lot of talented forwards, Comeau will most likely be playing on the third line, which won’t include any of Colorado’s true superstars. Therefore, while anything is possible, it is unlikely Comeau will be able to match the 31-point performance. Comeau is a hard-nosed and energetic player with two-way responsibility and veteran experience, but it’s hard to give up $2.4 million a year to a third-line player who averages around 25 points a season. The Avalanche were clearly interested in him since they signed him on day one of free agency, but it is a high price for a depth forward who has under-performed throughout his career. It is the one move this offseason that really doesn’t line up with the rest of Colorado’s overall plan. 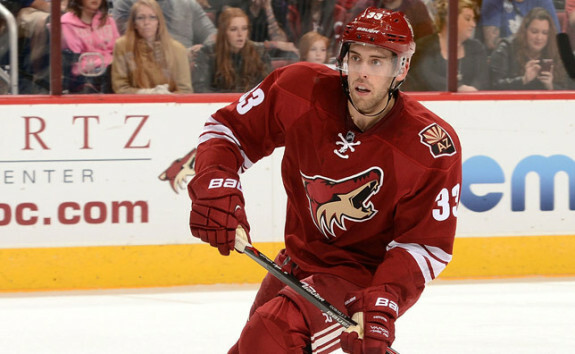 In a recent move, the Avalanche acquired defenseman Brandon Gormley from the Arizona Coyotes in exchange for defenseman Stefan Elliott. This is an absolute steal for the Avalanche. Nothing against Elliott, but Gormley is a very promising prospect who saw time with the big club in Arizona last season. Gormley scored 36 points in 54 games for the Portland Pirates (AHL) in the 2013-2014 season and split his time between Arizona and Portland last season, scoring 4 points in 27 games for Arizona and 10 points in 23 games for Portland. Elliott suited up for five games with the Avalanche last season but scored 40 points in 60 games for the Lake Erie Monsters, Colorado’s AHL affiliate. 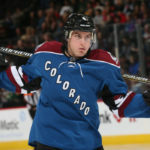 In the 2011-2012 season, Elliott played in 39 games with the Avalanche, scoring 13 points; he has played in a total of 63 games for the Avs across four seasons. Gormley played in a total of 32 games for the Coyotes across two seasons. He has a ton of potential and could turn into a very solid two-way top-four defenseman in a few years. Elliott has promise, too, but hasn’t been able to advance his career with the Avalanche; he and Gormley will both benefit from their new opportunities. The Avalanche now have a nice mix of youth and veteran experience on the back end, and Gormley will bring yet another set of skills to the table. Since he is on a two-way contract, it’s likely that Gormley will at least start in the AHL, but in case of injury or trade he is an excellent call-up for the Avalanche. It is strange that Arizona would make this trade, unless the team was interested in Elliott for his right-handed shot. Whatever the case may be, it’s an excellent move for Colorado. Though the Colorado Avalanche gave up and/or lost talent this offseason, the team now has more depth because of it. Considering the Avalanche management knew that re-signing O’Reilly would not be a feasible option, it is impressive that the team was able to acquire an underrated center in Carl Soderberg and multiple young players who can contribute to the team’s short- and long-term success. Grigorenko, who will be reunited with coach Patrick Roy after Roy coached him in Quebec in major-junior, will look to take advantage of the opportunity to play on a much more solid and talented team than he played on over the past several years in Buffalo. One of the key goals for the Avalanche this season must be to address and fix the power-play trouble. Colorado finished 29th in the league in power-play percentage last season, which is simply inexcusable for a team with so much raw talent, playmaking ability and sniper precision. Though the Avalanche might find themselves on the wrong side of the playoff bubble come April, the team should have a more consistent and hard-fought season and is one of the teams that could surprise many this year. Any time a team has the likes of Duchene, Jarome Iginla, Landeskog and MacKinnon, to name a few, there is certainly an opportunity for great success. With Mikko Rantanen either set to make his NHL debut or ready to join the big club next season, there is a very bright future in Colorado. And although Roy likes to pull the goalie early when trailing towards the end of a game, no one should pull the plug on the Avalanche’s season any time soon.